Crvena Zvezda barely avoided the blowout in the final minutes. With five players scoring in double figures, Cedevita beat Crvena Zvezda 84 – 68 in Zagreb and snapped the Serbian team’s 16-game winning streak. This win arrived much easier than what the final score shows for Cedevita that was up 77 – 48 with 7:33 remaining. Red Star rushed for a 3 – 20 partial score to decrease its deficit to 12 as the game was entering the final two minutes. 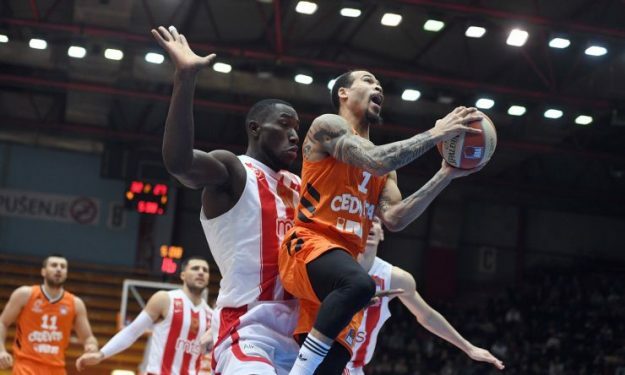 Jacob Pullen had 15 points and Justin Cobbs 14 plus four assists for Cedevita that improved to 12 – 5. Filip Kruslin added 13 points while Andrija Stipanovic and Ivan Ramljak 12 points apiece. The latter also grabbed six rebounds. Ognjen Dobric posted 17 points and five rebounds for Red Star. Dusan Ristic scored 12.